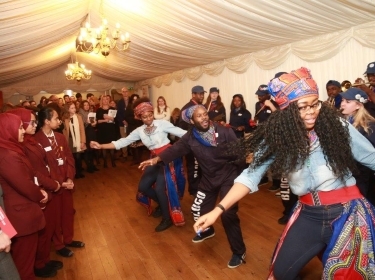 The Foundation was the founding member of the CLA in 2010, following an extensive public consultation among practitioners working across the cultural and learning sectors, which led to the publication of Get It: The Power of Cultural Learning, in 2009. Download ImagineNation: The Case for Cultural Learning, CLA, 2017. Download the CLA’s Key Research Findings. Download a full page version of Get It: The Power of Cultural Learning, 2009. View a film of Dr Maggie Atkinson’s keynote speech at the RSA event on 27 April 2009. 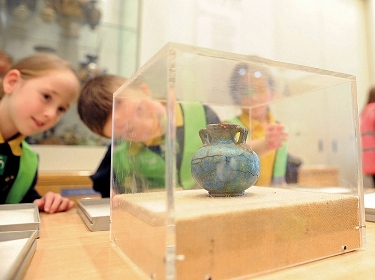 Schoolchildren work with objects in Manchester Museum's Discovery Centre as part of Ancient Egypt and Thunderstones archaeology workshops. 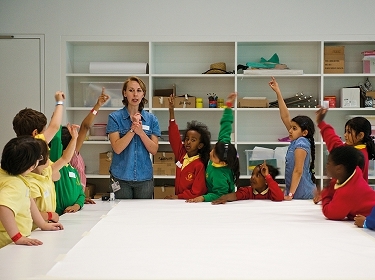 Photo: Joe Gardner for Manchester Museum. 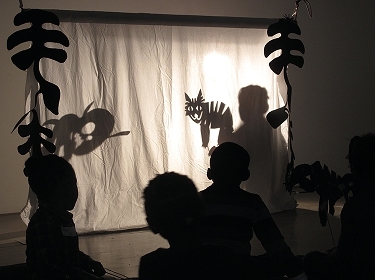 Using the learning space for a shadow puppet show at the South London Gallery. Photo: Heather Kay.